Two Bay Area-based outdoor companies are partnering with an impressive roster of industry sponsors to create two immersive events designed to bring diverse sport communities together for shared appreciation and education in outdoor activity. 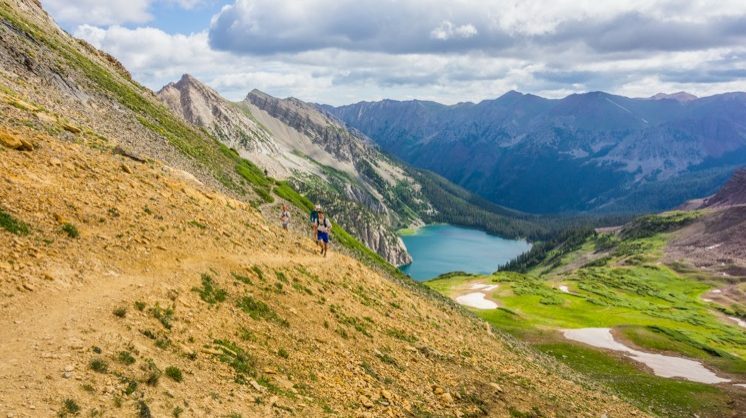 The Outbound Collective and Eventus Outdoors are teaming up with title sponsor CamelBak for the CamelBak Pursuit Series, a three-day series of events for outdoor lovers taking place at Utah’s Snowbasin Mountain Resort on August 11-13 and in Sanborn County Park south of San Francisco on September 8-10. The roster of industry partners is more than 30 companies strong, and includes notable brands such as Petzl, Altra, Clif, and Trek Bikes. The lineup is also noteworthy for getting perked up in the morning and unwinding in the evening, with Kuju Coffee, Lagunitas Brewing Company, and Tito’s Handmade Vodka on board. Participants in the events will find educational offerings from experts and enthusiasts from a broad representation of outdoor activities, from leisurely to intense. 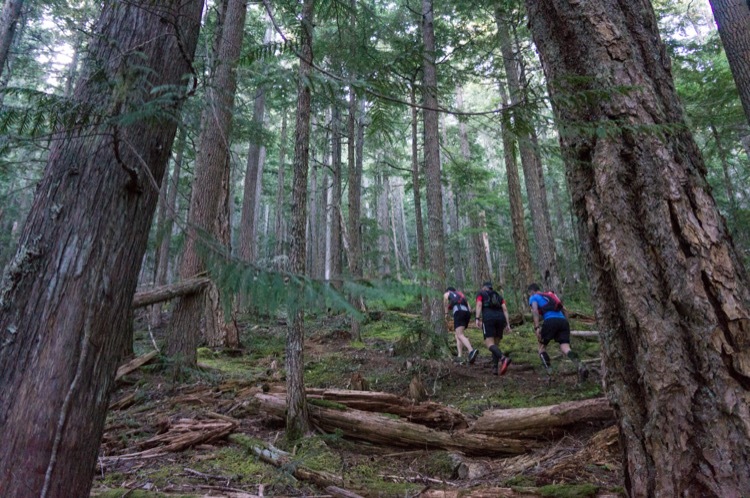 Course offerings include Landscape Photography, Campfire Cooking, Learn to Surf, Wilderness First Aid, Beginner Rock Climbing, Outdoor Yoga, Learn to SUP, Mountain Bike Skills, Intro to Slacklining, and Headlamp Trail Running, among many others. Experts and athletes from partner companies will lead sessions in their category space; for example, the beginner rock climbing course will be led by Petzl ambassadors, and Altra Running founder Golden Harper is a guide for the trail running clinics. The guide to participant ratio will range from 1:5 to 1:7 depending on the type of activity – which is much smaller than most outdoor instructional courses. Activities take place from before sunrise (Dawn Patrol Surfing) to after sunset (Night Hiking or Twilight SUP), with the potential of going non-stop from one cool thing to the next for three full days. Any necessary equipment is provided by the event, so you don’t have to schlep a whole trailer full of gear with you. Most attendees will choose to camp (or, for a bit more money, glamp) on-site, but there are also single-day activity options to choose from. Those staying overnight will have curated culinary experiences as well as a chance to mingle with outdoor brand representatives among their fellow attendees. According to Outbound Collective founder and Pursuit Series Co-Founder Brian Heifferon, the CamelBak Pursuit series was inspired by a community of members who wanted opportunities to meet up and try new activities. “Everyone is a beginner at something,” says Heifferon, and although many of us know people involved in different activities, we rarely create an environment to learn from each other. The Pursuit Series events are a perfect setting for athletes in one activity to try something completely new in safe and judgement-free surroundings. Pursuit Series Co-founder Julia Stamps Mallon describes the instructional level for each activity as suitable for anyone from the complete newbie to those with intermediate skill. Locations of the events are intentionally located just outside of major urban hubs: Salt Lake City for the August event, and San Francisco for the September event. The goal is for a diverse group of athletes to converge outside the city limits, learn from each other and enjoy each other’s company, and then maintain those connections when they return to everyday life back in the city. Often the best motivating factor in trying new activities is having someone to practice with; after the Pursuit Series weekend, attendees may have over a hundred potential training partners. More information about the CamelBak Pursuit Series, including a full schedule of events at the two locations and registration information, can be found on the event website. Next Article Running Is Stupid, So Why Do I Do It?